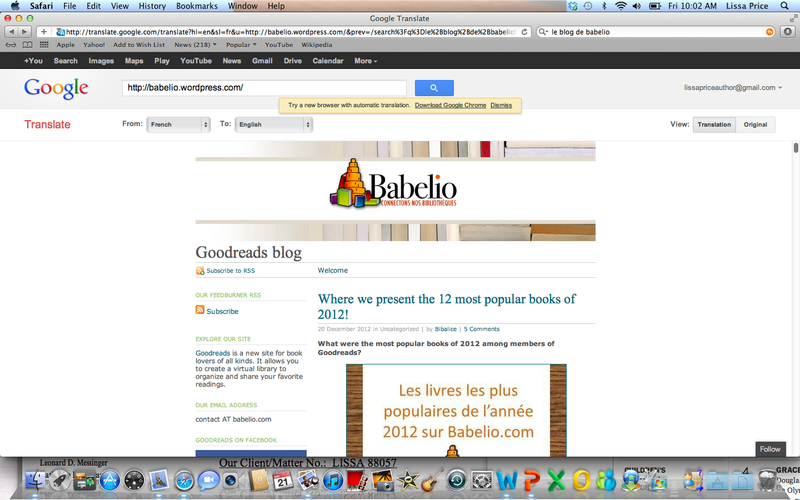 This French Goodreads site has 1.8 mil visitors a month, according to my wonderful French publisher. 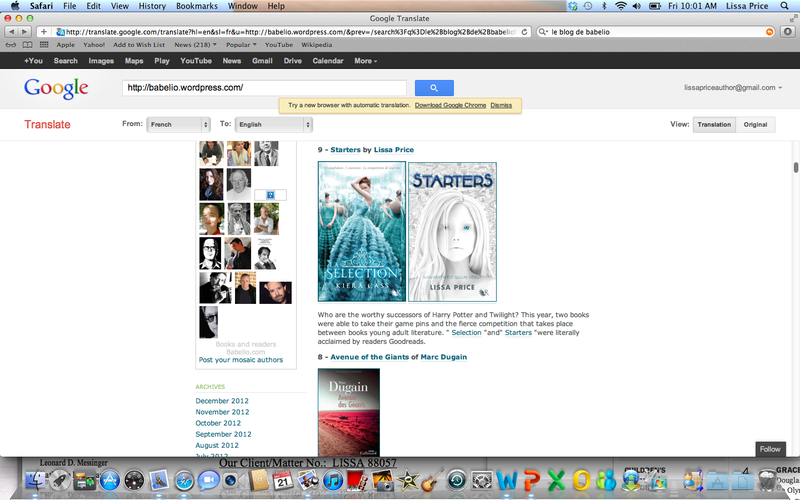 And they chose Starters as only one of two YA books in their 12 favorite books of 2012 list. Who else is on the list, beside my Apocalypsie sister, Kiera Cass (the only other YA book)? J.K. Rowling and Toni Morrison (yes, wow). French readers, merci beaucoup. This means so much to me. Go here if you want to see all 12. If you haven’t reviewed Starters on Amazon yet, please do it, even if it’s just short or just stars. And vote on the Teenreads site, the link is a few posts below. Thanks for your support.